Balto's Changes Right or wrong? Yes, I think they kind of ruined the sequels with all the magic and different voices. ( I didn't even know the voices were changed until you told me. xD) The first Balto is the best one out of all of them. Re: Balto's Changes Right or wrong? The storylines in Wolf Quest had nothing whatsoever to do with the original Balto, which was disappointing. 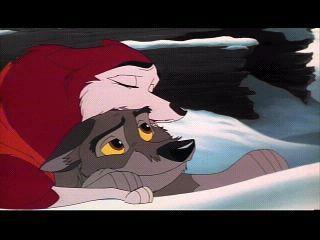 I feel that, while the sequels weren't all bad, they should have stayed on-topic with the original Balto's storyline. I like the other movies even if they were not as good. I just Like to continue the Balto trilogy. I agree with everyone. The two movies were okay, but they would have been better without the magic. I think it was great becasue he grows and changes over the past 3 years. See, in WOC, in the beginning, it says at the bottom "Noe, Alaska, 1928" and the orginal was in 1925, so I think it was great to change into older voices to show the growth changes. Yeah, I kind of agree with Silver. » Tomatoes.....what is wrong with them? » Pumpkin Plants - what is wrong?